With the ongoing emergence of advanced workplace technologies and communication formats, we are becoming a more sedentary society than ever before (Owen et al, 2010). Apra members are confronted with unique health challenges daily, given the significant amount of time they spend sitting at desks and completing the majority of their work on computers. A study was conducted to gather commentary from Apra members to explore the detrimental effects of prolonged sitting. Several veteran Apra members were asked to identify personal health concerns secondary to prolonged sitting. Current exercise physiology literature acknowledges that physical activity is beneficial for overall health and wellness, although determining what should be done when we are not physically active is unclear. This is a challenge all too familiar to fundraising researchers — some of whom have already experienced noticeable health changes that they attribute to the nature of their work. Recent research has illustrated the insidious effects of prolonged sitting and sedentary behavior, including obesity, type 2 diabetes, cardiovascular disease and increased mortality risk. Eyestrain is also a concern unique to Apra members, as much of their work entails focusing on spreadsheets and email. Working continuously on a computer requires the eye muscles to move back and forth and align with what is being viewed and accommodate to changing images on the screen in order to project a clear image for the brain to interpret. While these may only be temporary side effects, continuous computer users may experience blurred vision, double vision, dry/ red eyes, headaches and neck/back pain. While it is widely recognized that prolonged sitting can have detrimental health effects, it is difficult to identify practical strategies to support our own health and wellness. I recently interviewed three experienced and well-respected Apra members regarding time spent sitting each day, challenges to maintaining physical activity levels throughout the workday, personal steps taken to support their own individual wellness, as well as observed changes in job performance secondary to musculoskeletal dysfunction. Among three experienced respondents, the time spent sitting ranged from six to 12 hours per day. All respondents further identified the constant deadlines, heavy workload, frequent meetings and the necessity of completing work on computers as challenges. A researcher from George Washington University endorsed the use of a Fitbit, a popular step/calorie tracking device, as well as a wireless phone for conference calls to enable movement — the latter resulting in an extra four miles of recorded walking distance because the individual was able to walk during conference calls. A separate respondent from Athens, Georgia, reported decreased ability to focus and restlessness as the day progresses due to prolonged sitting and inactivity and has considered standing desks to combat the stationary work environment. A respondent based in Portland, Oregon, reported shoulder, neck and back issues resulting in lower back pain and subsequent physical therapy treatment. “I think workplaces need to do more to support musculoskeletal health of employees who keyboard all day. Educating employees and particularly supervisors about risks would be a great way to start. If only I had known about this stuff [health risks associated with prolonged computer screen gazing and sitting] 20 years ago,” the respondent commented. Taking matters into his own hands, he states that he takes regular walking breaks during lunch, stretches for half an hour in the morning and evening, uses a Kinesis keyboard (keys are in bowls to reduce finger torque) and BestErgo keyboard tray and mouse tray that can be placed on the same level as the keyboard to minimize moving his arm up and down to control the mouse, as well as a specific eyeglass prescription designed to computer monitor range to minimize eye fatigue. He also uses the HabitBull mobile application to remind him to stretch every few hours at work, which is encouraged by his workplace. Indeed, it is apparent that some workplaces may not adequately support employees in seeking ways to maintain healthy physical activity levels on the job site. For many, it is challenging to leave the job site to engage in physical activity at a nearby fitness center or park. Others may simply be unaware of practical strategies, negligent toward physical activity or abide to rigid routines that limit physical activity during the workday. This, paired with the inherent demands and challenges embedded in the profession, may be at least partially accountable for musculoskeletal dysfunction and development of chronic pain. Dr. Phyllis King, vice provost at the University of Wisconsin-Milwaukee, began her professional career as an occupational therapist (OT) and has since become regarded as an international expert in ergonomics. OTs provide rehabilitation services to individuals with injuries or diseases that affect their independence or performance in activities of daily living, and also have skilled training in implementing workplace modifications to support musculoskeletal integrity and to optimize an individual’s physical and cognitive performance. When asked about the dangers of prolonged sitting in the workplace, King said: “The biggest dangers I see from prolonged sitting are reduced blood flow, low back pain and muscle tension. Reduced blood flow, particularly in the legs, can lead to numbness and swelling in the legs. In some cases, this can result in varicose veins.” King further indicated that prolonged sitting, especially with awkward and/or unsupported trunk posture, can cause low back pain and stiffness. This constant tension of the muscles working to hold the trunk, neck and arms in a fixed position can be attributable to the presence of overall aches, pains and stiffness. So, what is preventing researchers from maintaining adequate physical activity levels? King cited common barriers to physical activity in the work environment, which include jobs that involve time-sensitive work as well as jobs wherein all aspects of the work are within close proximity and thus do not provide ample opportunity for movement. King recommends some useful strategies for employers to follow in supporting their own physical activity that include offering fitness club discounts or on-site fitness equipment accessible during work breaks, allowing frequent breaks to encourage workers to move around, and incorporating movement during job tasks to support more physical activity. King also regarded messaging and training employees on health promotion and the benefits of physical activity and how to achieve this at work as effective measures. Leaving your desk at lunchtime for a walk outside. Other steps could include regular stretching of the wrist, shoulder and neck muscle groups throughout the day to release muscle tension and prevent muscle adhesions (muscle knots) and subsequent achiness or soreness. Therapy balls are a formidable alternative to standard office chairs, as they facilitate good posture and provide balance system input. Reducing computer screen brightness also reduces eyestrain. Finally, utilizing bathrooms on the highest floor of the building will provide additional physical activity and break up inactivity throughout the workday. The message is clear: Prolonged sitting is dangerous. The research acknowledges that there are serious health risks associated with prolonged sitting. You do not have to succumb to the effects of prolonged sitting if you recognize the associated dangers toward your own health and wellness and act accordingly. Consider completing a “wellness check” of your own, employing the aforementioned recommendations, and/or consulting with a health care professional to determine a safe, practical way to support your own health and wellness both in and out of the work environment. Your future self will thank you because, after all, we are only given one body. Owen, N., Sparling, P.B., Healy, G.N., et al. (2010). Sedentary behavior: Emerging evidence for a new health risk. Mayo Clinic Proceedings, 85(12), 1138-1141. 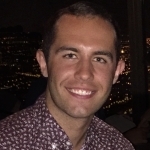 Patrick Frigge is an occupational therapy intern at Mayo Clinic in Rochester, Minnesota, and recently received his master’s degree in occupational therapy at the University of Wisconsin-Milwaukee.